Hayden is 13 and will be entering high school in just a few short weeks. With so much to think about and prepare for this next phase of homeschooling, I jumped at the chance to review High School Prep Genius by College Prep Genius with him. 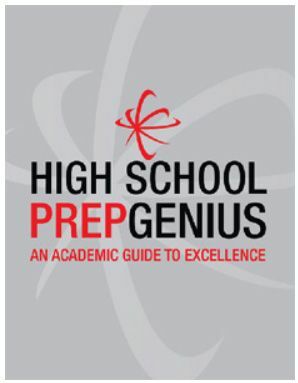 High School Prep Genius is a softcover book that is designed to help prepare students in 7th-12th grades to prepare for their journey through high school and into college. Each chapter is primarily written to the student but should be read together by both the student and the parent. In addition, there is a special section after each chapter that is written only to the parent. It includes questions for the student’s self-reflection and application of the issues discussed, as well as charts to aid in planning. 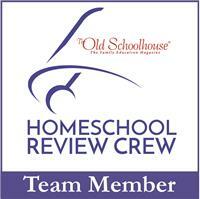 There are also “homework” assignments for the parent to help the student apply the concepts discussed. high school grades, transcripts, class rank, etc. There is also an appendix section in the back of the book that provides tips and sample forms for preparing a homeschool transcript, talent search information, a recommended reading list for high school, relaxation techniques for test taking, and an explanation of admissions terminology. As you can see, this book is a comprehensive guide to planning and preparing for the journey through high school and beyond. High School Prep Genius is available for $29.95. Hayden and I sat down together and read through the extensive introduction together before beginning the first chapter. In this section, it talked about mapping out a plan for the high school years. Right then, I was thankful to have the opportunity to use this book. We are just about to embark on the high school journey in just a few shorts weeks. Thinking about what classes to teach, what needs to be covered and when, what curriculum to use, and wondering if we could fit it all in has had my stress level stretched nearly to its limit! I’m all about garnering advice and information right now, so we heartily began to devour this wonderful guide. The introduction explained various high school degree plans that are typically used and how many credits are generally required in various subjects. Of course, the specifics vary from state to state, but it gave us a good foundation from which to begin our planning. This section included lots of helpful forms and checklists to aid in planning and record-keeping both for high school and in preparation for college. It also had a section written to the student based on his or her current grade level with specific recommendations for them at this time in their lives. I know all of these forms will be so helpful to me very soon. I have begun to pencil in courses and get a plan in my mind of how we’ll be covering the basics and the electives along the way. This section got me thinking specifics. At last, we were on to the first chapter. This is where the book really begins to speak to the heart of the student. I was so impressed with this first chapter on personal development. It spoke so clearly and objectively to Hayden about topics I’ve been trying to drive home a lot these past few months. Things like taking more personal responsibility, thinking about consequences and owning them, earning trust, and earnestly thinking through decisions that suddenly seem to matter so much more than in the years before adolescence began. I personally felt a sense of relief that it was communicated in such an objective, crystal clear fashion…at last, some reinforcement for my “mommy” mode! He gets to hear it all from someone other than me. Hooray! The student homework involved some questions for personal reflection…some real-life situations in which he mind soon find himself and a chance to think through the whys and woes of decision making…a chance to contemplate the consequences of those decisions before these things happen for real. I liked that. The parent homework encouraged me to find something Hayden has really wanted to do…something that involves trust and extra responsibility…and let him do it, letting him know that it was a trial run that would affect what he was allowed to do in the future. For this exercise, we allowed Hayden to pitch in quite a bit in the building and preparation of several square foot garden beds. He helped build the frames with his dad. He helped me lay the foundation and mix and prepare the organic soil. He let his dad teach him how to build the grids that lay on top, and after some instruction, he was left alone with a drill and some screws to assembled them. His dad checked on his progress to see how it was going, and although Hayden was a little frustrated that he had cracked one by drilling too fast, his dad showed him how to turn the situation around by improvising a bit and still making it work. This was a positive experience for Hayden. It helped him to tackle something new, deal with his mistakes, and exercise some perseverance until the project was completed. Afterwards, Hayden and I talked about how good it felt to be a part of the groundwork for something that will last for years to come, even though it was a lot of hard work. Chapter two got into thinking about and discovering your interest and motivations. Again, this was a timely topic for Hayden. He has no idea at this point what his career interests might be, and he is lacking in self-motivation in his school work. Since he is entering high school soon, he really needs help in figuring out how to gain some motivation. This chapter did a great job of getting him to delve deeper and think about what he finds most rewarding. It also suggested that he take a motivation test, a personality test, and a career test. We already have plans to do that using the StudentKeys Binder from the Institute for Motivational Living, and I can’t wait to see the outcome! I think exploring himself in this way will really help him find a general direction to begin to explore further in terms of his future. Chapter three had him explore his personal beliefs. It asked him to consider examining our family’s beliefs and see if they truly match his own. If he has any questions or doubts, he should discuss them with us and develop his own strong sense of moral code. Here, the book doesn’t actually talk specifically about religious beliefs, but I wish it did. It’s implied, but not specified. The book also said that it’s okay not to believe in anything…that this is also a form of belief. As a Christian, that bothers me. But I was able to easily adapt this chapter to include our spiritual beliefs. It did do a good job of discussing virtues and getting Hayden to think about ways to cultivate virtues in his life. Chapter four discusses a healthy lifestyle and a nutritious diet. It talks about the needs of growing adolescent bodies and making sure teens are not developing poor dietary habits that fail to meet the nutritional needs of their bodies. It also talks about dealing with emotions and knowing signs of depression and when to seek help. This is so important for teens, who tend to be overly emotional about everything and often lack the ability to see how things can improve in the future. This chapter encourages parents to instill healthy eating habits, keep open lines of communication with your teen, and watch for signs of problems with their emotional health and well-being. This was as far as we got with the book during the review period. Already, though, I can see so many benefits to using it! There’s just a wealth of information and resources within it, and I’m really looking forward to continuing to work through the chapters with Hayden. I think it will be an invaluable guide and reference for us over the next few years. It’s so much more than a planning guide, and I’d have never guessed all that it covers by the title! I would definitely recommend it for any parent with teens! Take a look at what other Crew members had to say about this product by clicking the banner below.